Apparently, when you remove the price tag from a service and make it free, people are more likely to try it out. 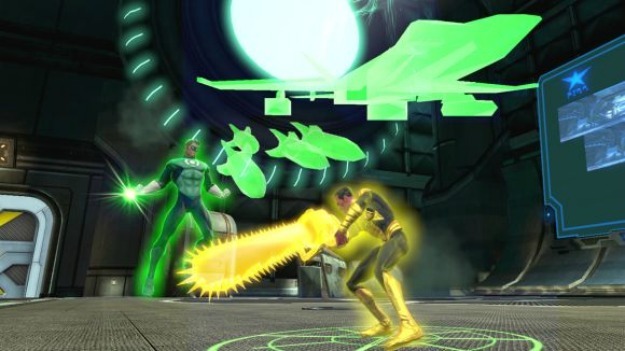 Yes, we know that sounds like crazy talk, but that seems to be the case for DC Universe Online, and we’re as surprised as you. Okay, so it’s not entirely unexpected that Sony’s decision to go free-to-play with DC Universe Online netted the game more players, but the number of new players is noteworthy. According to a press release issued by Sony earlier today, 1 million new players joined the game in the first week after the monthly subscription requirement was dropped. What’s also interesting is that the proportion of new players was evenly split between the PC and PlayStation 3 formats for the game. DC Universe Online went free-to-play on November 1, transitioning from a required monthly or annual subscription to a three-tiered model divided between free play and two levels of subscription that allow for more access to downloadable content and other in-game options. The announcement of DCUO’s increase in player base also arrives at a time when World of Warcraft continues to lose players. Last week, it was reported that WoW recently lost 800,000 players over a three-month period. For DCUO press assets visit, http://bhimpact.gamespress.com/product_page.asp?i=903.